Tap Adventure for Android, a game where all you do is tap. There really isn't that much more to it. Each tap deals damage, which eventually kills enemies, which drops gold, which you can use to level up your tap damage or hire recruits. The levels are broken down into 10 waves of enemies before a boss. If you lose again the boss, you just replay the waves until you have enough gold to upgrade yourself enough to try the boss again. I got to around level 124 and I still play from time to time. It is fairly mindless and I'm beginning to wonder why I'm playing at all. It is free-to-play and I don't think the purchases actually add much value to the game itself. Give it a shot since it is free. There are a lot of games that fall under this genre. Clash Royale for Android, I have played it a bit more, joined a clan and reaped the benefits. Unfortunately, I hit the wall where I was not able to progress any further due to not having good cards and the fact that I was always fighting people with the same cards which made it very hard to progress. In the end, I deleted the game and I won't be playing this anymore. It was fun at the beginning, but the grind is fairly real and I decided to give up on this game. 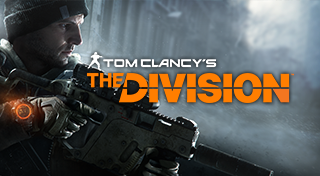 The Division for PlayStation 4, I have reached level 30 and we started to play a bit of the Dark Zone. It is clear that after you reach level 30 and started a bit of the Dark Zone, there isn't a need to really play the non-Dark Zone areas anymore since the loot drops are a lot better inside. We haven't tried the incursions yet which is new, nor have we tried the missions on hard or challenging difficulty which is supposed to be different once you hit level 30. I'm not sure how much longer this one will last, but we will see. Alienation for PlayStation 4, the latest game by Housemarque who have made several games that I enjoyed including Outland, Dead Nation, Superstar Dust, and Resogun. I would say that if Dead Nation was combined with Diablo, you would get Alienation. The game itself is played as a twin-stick shooter where the left stick is for moving and the right stick is for aiming. I haven't played too much but I see potential depending on what the end game content is. With each level that you complete, you gain experience and loot. The experience gains will mean more health and the loot will be used as new weapons, scrap which is used for rerolling stats of rare or higher weapons (each category of the weapon will have a range and you can reroll the end value), or cores which you can put into weapons which will upgrade the categories. There is a lot going for it. I only play a couple hours (maybe 2-3) at this time, but I enjoy what I see. It is one really pretty game and it only costs $20! Watch some gameplay videos to see if it is for you and go nuts!